Your apartment’s roof—you probably don’t think too much about it (unless you have the unpleasant experience of dealing with a leak, that is!). 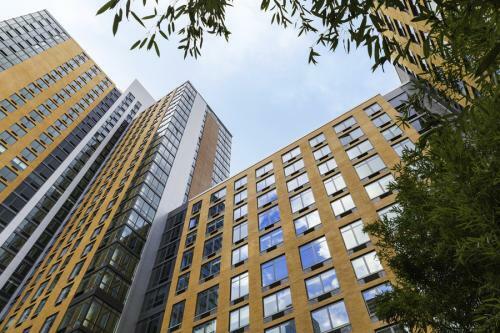 Still, this often overlooked surface is the potential for the ultimate hangout spot—and apartment developers are finally starting to realize it. 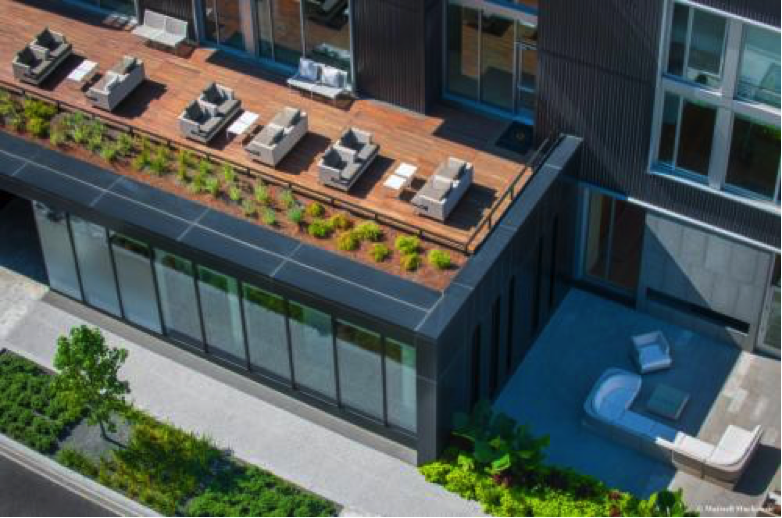 As urban rental markets have tightened up, luxury amenities have been popping up left and right, with rooftop features taking center stage. So your next pad might have an up-in-the-air pool, dog park, garden, or other hangout spot that will have you living the high life in your pad. Dive into these new apartment commodities and try to contain your excitement—at least until your lease runs out! 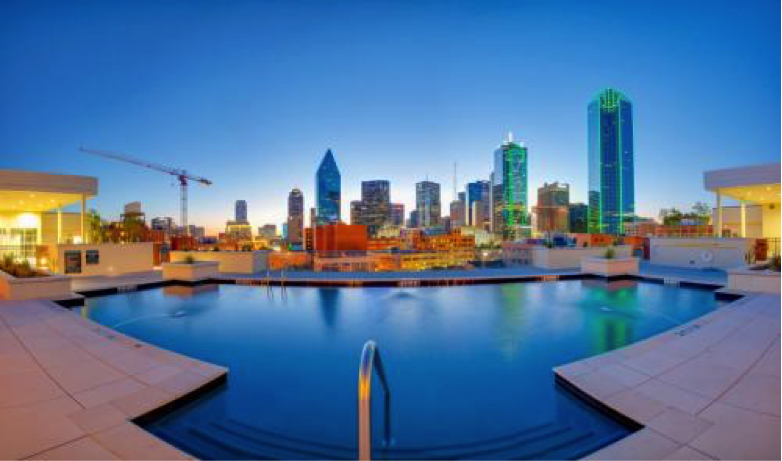 The entire city of Dallas is on display for residents of 555 Ross, who can enjoy the whole thing from the cool comfort of a rooftop pool. Don’t worry, though—you don’t have to relocate to the Lone Star State to take advantage of this lofty apartment amenity. Rooftop pools are common features in LA, New York, Atlanta, and more. I’m no grilling expert, but I’m willing to bet that burgers and dogs taste a lot better when paired with spectacular views of the urban landscape below. 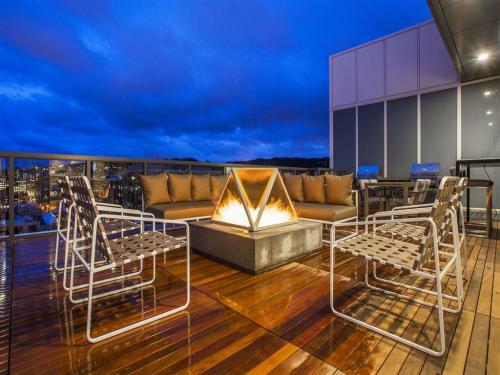 That’s just what you’ll get at Portland’s Block 17, where residents are invited up to the top of the building to partake in some community firepits and grilling. What a way to top off your next dinner party! The urban jungle can be rough on our domesticated fur babies. That’s why DC’s City Market at O designed a top-of-the-line upstairs dog park for its four-legged residents. Afterwards, you can take your pup to one of their in-building groomers for a little post-frolic cleanup. It’s a treat for Rover—and your furniture! What’s better than just a movie? A movie with a view, as watched from the comfort of your own apartment complex. Besides having one of the coolest apartment names in New York, NYC’s Gotham West Market features a community rooftop cinema, in addition to a bar, lounge, and park, all of which afford residents spectacular views of the East River beyond. Speaking of bars, how about an evening nightcap, right from your own rooftop bar and lounge? Posh urban spaces, like 430 Oak Grove in Minneapolis, include this coveted amenity that will definitely keep your Uber costs down. 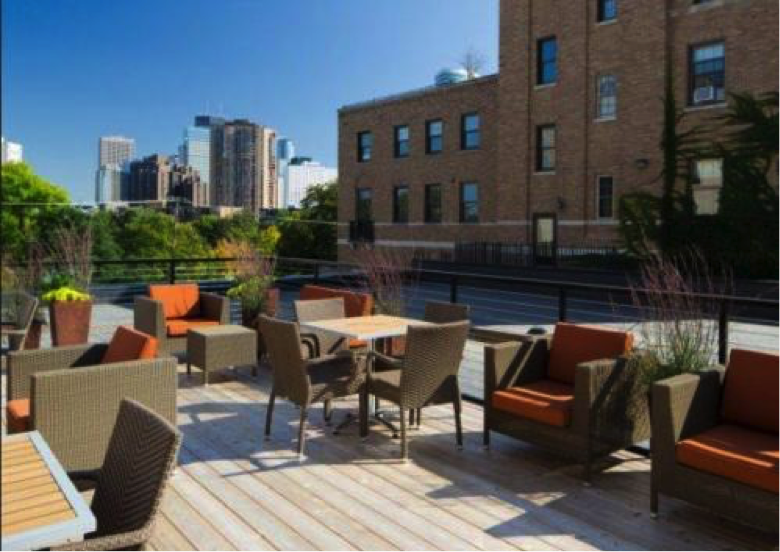 With rooftop amenities this awesome, apartment life is definitely looking up!